In the NBA, it’s widely accepted that the Western Conference is the stronger of the leagues’ two halves. But as the best player in the sport, LeBron James, plys his trade in the Eastern Conference, the two-horse race for the NBA Championship is a lot more level than people make out. According to Ladbrokes, the strength in franchise depth the West boasts make them the 4/5 favourite to be the winning conference this season, compared to the even-money shot available on the East prevailing. 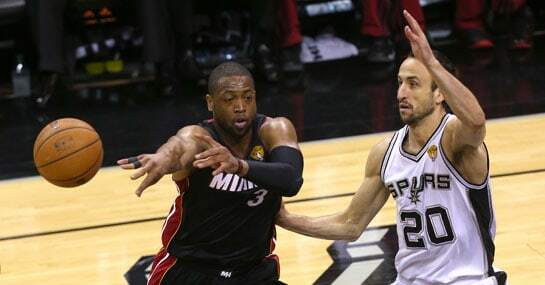 Last term the West ruled, as the San Antonio Spurs romped to a 4-1 win over the Miami Heat to claim their fifth NBA crown. Victory for Tim Duncan and co made it the 10th victory for the West since the turn of the millennium, but only three franchises – the Spurs, Los Angeles Lakers and Dallas Mavericks – have contributed to those wins. For all their supposed strength though, only one other side – the Oklahoma City Thunder – have managed a trip to the NBA Finals in that time. On the opposite side of the country, the East’s level-playing field has seen eight different sides reach the game’s pinnacle series since 2000. While they’ve only managed five wins in that time, there’s reason to believe they’ll be in a good position to triumph this time out. James is still in situ, despite heading back to the Cleveland Cavaliers from the Miami Heat. Meanwhile the Heat managed to retain two of the big three that helped them make four consecutive Finals appearances between 2011 and 2014, in Dwyane Wade and Chris Bosh, as well as picking up Luol Deng. The Chicago Bulls added one of the West’s best big men, Pau Gasol, to their roster during free-agency, while dark horse pair the New York Knicks and Washington Wizards both delivered coups in retaining Carmelo Anthony and signing Paul Pierce respectively.